One of my very favorite debates in the whole world is the ongoing saga of nature vs. nurture. Are we a product of our genes or our upbringing? Why do I act the way I act, and why do I even like the things that I like? And where do our kids’ personalities come from? Are they predisposed to have certain interests - or will their hobbies result from the perfect storm of being exposed to something new at just the right time? Disclosure: This is the fourth part of our series How to Teach Empathy to Kids - a collaboration with Penguin Young Readers. A copy of the book The Little Green Girl was provided to us to allow us to create this series of articles. All thoughts and recommendations are our own. I’m really interested in the concept of why people end up with certain hobbies. Solving this conundrum is of the utmost importance to me personally - because it’s absolutely vital that one of my two kids grows up to appreciate a good horror movie. I desperately need a scary movie buddy. Surely they didn’t both get the anti-movie gene from my wife, right? Of course I’m exaggerating a teeny tiny bit about the importance of this scary movie buddy thing. If both of our kids grew up to hate being scared - I don’t suppose I would actually force them to watch scary movies with me. The same can be said if they don’t want to play baseball or play the piano or dance or play chess. It’s weird to force your own interests onto your kids. But I think it’s fair to say it’s still tempting for most people. I think that people want to share the things they love with the people they love. The problem, of course, is that you aren’t the only person in the world and your opinion is not the only one that matters. As long as you aren’t having issues with sociopathic or psychopathic tendencies, you’ve probably figured that out by now. But I think there are probably times in our lives when we need a little reminder of this lesson. Particularly when you’re tasked with raising other human beings and being so involved in their day-to-day activities. And, ultimately, the realization that different people have different needs, different interests, and different desires is a very important lesson - a lesson in empathy. Understanding and acknowledging the feelings of others is what empathy is all about. And of course it isn’t just a lesson for crazy parents. Kids certainly also need those constant reminders that they aren’t the only person in the world - and that they need to consider the feelings of others. Particularly in this day and age. I think it’s vitally important for parents to very deliberately and consistently teach empathy. I’ve always found that a great way to pass along very effective and heartwarming empathy lessons is by using picture books. We’ve already exposed our kids to the thoughts and feelings of thousands of characters throughout the years - and each visit into their lives is like a deposit into their bank of emotional understanding. Each story is another visit into the life of another person - someone who has very different (or very similar!) feelings to mine. And when a moral lesson is wrapped up in the beauty and authority of a well-crafted story, I tend to find that the lesson is well received. 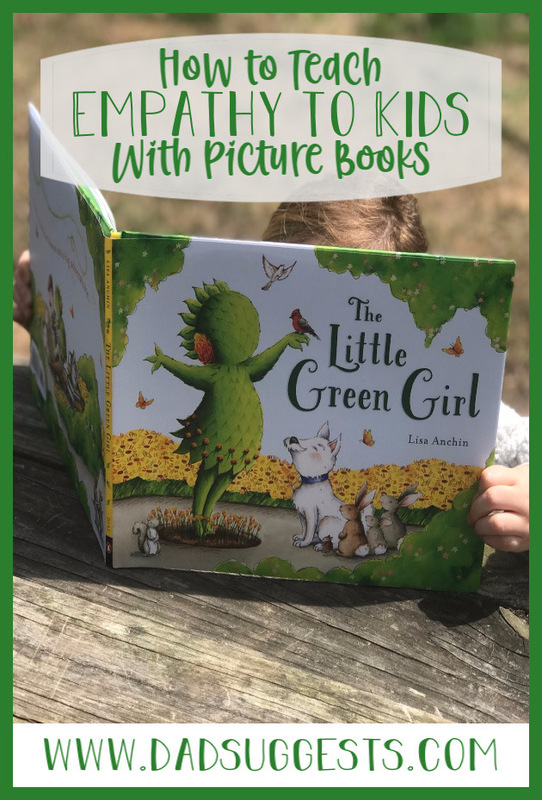 One particular new picture book that does this quite well is The Little Green Girl by Lisa Anchin. It’s a beautifully illustrated book about a gardener - Mr. Aster - who is very set in his ways. He likes his home, he likes his garden, and he’s perfectly content doing the same thing every day. But, one day, he grows a new plant in his garden - the Little Green Girl. He raises her from a seed. She’s a real plant that’s growing in the ground, but she’s shaped like a little girl and actually has thoughts and feelings. Don’t worry, this is an entirely normal thing in the world of The Little Green Girl. The whole thing is actually a fantastic metaphor for raising kids. Mr. Aster raised the Little Green Girl since she was a seed, and he taught her everything he knew about the world because she was so curious. He’s shaping her and molding her and watering her and fertilizing her - all from a seed. Surely if he wanted to turn her into a scary movie buddy - he could do it right? Or, in this case, his gardening buddy. But of course that brings us back to our conversation about nature vs. nurture - and about understanding the feelings of others. You see, the Little Green Girl decides she wants to go out and explore this exciting world for herself. Mr. Aster, on the other hand, is already very set in his ways. As far as he’s concerned, he’s already discovered that his garden is the best place in the world to be, and gardening every day at his home is the most he could ever ask for. But the Little Green Girl is dead set on picking up her roots and experiencing life for herself. She needs the chance to find out where the best place in the world for her is, and she needs to find what it is that she likes to do. No doubt about it, Mr. Aster is acting like those crazy parents I was talking about. His little green kid is her very own person with her very own needs and desires, and he has most assuredly got some waking up to do. 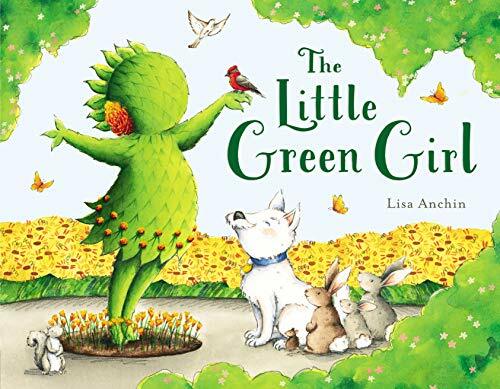 As you can probably tell, The Little Green Girl comes packed with some good lessons for parents, but kids can really get a lot out of this book as well. And I’m not just talking about the enjoyment they’ll get from seeing an oblivious dad finally come around and do the right thing for his kid. I mean they’ll get a good dose of the type of empathy they’ll need in all of their future relationships. It’s perfectly okay not to like the same thing as your mom or your dad or your sister or even your best friend. And it’s very important to recognize that all of those people could want different things than you at any given time. And, perhaps most important of all, your desires and your opinions are no more inherently important than theirs are. The Little Green Girl is a beautiful book that reminds me to truly appreciate the people that I love for who they are. It’s a reminder to celebrate what it is that makes them special. 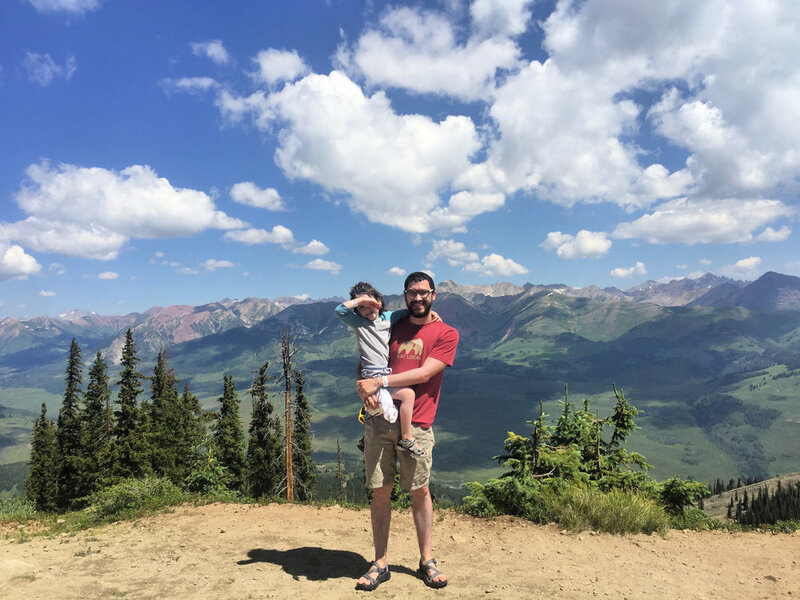 My job as a dad is to nurture the growth of my kids in a way that helps them discover what makes them happy - and to always help them chase it down. Do you enjoy using picture books to teach empathy to your kids? Then you’ll love our list of Picture Books that Teach Empathy to Kids. How do you teach empathy to your kids? Do you have a favorite picture book on the topic? Please share in the comments!